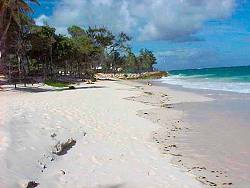 Silver Sands is superbly laid out over twelve beautifully landscaped acres, making it an ideal place to enjoy a relaxing Caribbean vacation in the south coast, windsurfing capital of Barbados... it's a popular and friendly full service vacation property. During the winter months the shifting pattern of the trade winds off the coast of Silver Sands creates ideal conditions for windsurfing, and the hotel is internationally renowned as a popular base for many wave windsurfers from around the world. There are130 units, 89 suites and studios and 41 rooms. 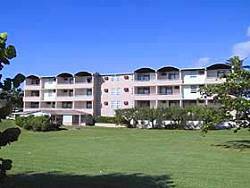 This includes a new block, built in 1998 directly fronting the beach which comprises of 18 deluxe studios and 6 deluxe suites, some with sea views. On site arerestaurants, a bar, entertainment, water & other activities, beauty salon, boutique and mini-mart. Little Arches a privately owned boutique hotel affording vistas of the island's landmark Miami Beach, is one of Barbados' most charming and distinctive properties and the only hotel located just steps from this pristine, secluded white-sand beach. 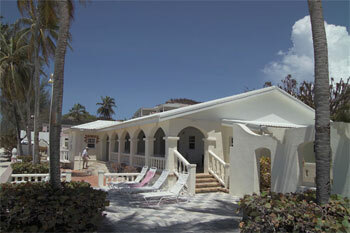 Little Arches offers adult only accommodation... ages 16 years of age and older. There are ten unique rooms and suites with king-sized beds and air conditioning. The ocean front suites feature private oversized whirlpool spas and terracotta terraces overlooking the Caribbean ocean. The stunning view from a distinctive rooftop swimming pool may be enjoyed dawn to dusk, but is particularly pleasant during the complimentary sundown wine and cheese service on your arrival. Meals are served by your mood, in-room, poolside or alfresco style in the rooftop restaurant, the acclaimed Café Luna. Standing on 1000 feet of white-sand beach, the Southern Palms Beach Club is a handsome example of plantation-style architecture, the hotel is close to Heritage Park Rum Factory and Farley National Park. Nestled among tropical gardens, the Southern Palms Beach Club features two pools and two tennis courts. 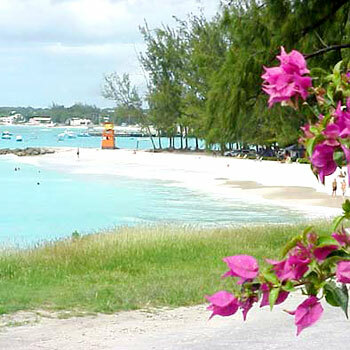 Guests can enjoy windsurfing, scuba diving and snorkeling, shuffleboard, table tennis and miniature golf are available. Other amenities include a beauty salon, fitness room, front desk safety deposit box, gift shop, a self-service Laundromat provided for Guest's use, tour assistance, banquet facilities and business services. 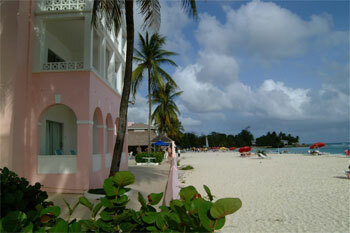 Hotel dining options include the Garden Terrace Restaurant, which serves West Indian and continental dishes. The restaurant is open daily and features a live steel band. The Khus Khus Bar offers lighter lunch and dinner fare. Complimentary high tea is also served daily at poolside. There are 92 air conditioned guestrooms on three floors, and guestrooms feature Caribbean-style décor with patios or balconies. Amenities include high-speed Internet access. The Suites and Duplexes have full kitchenettes.